Men's wool mix gloves. Sizes M-XL. With decorative fastening. 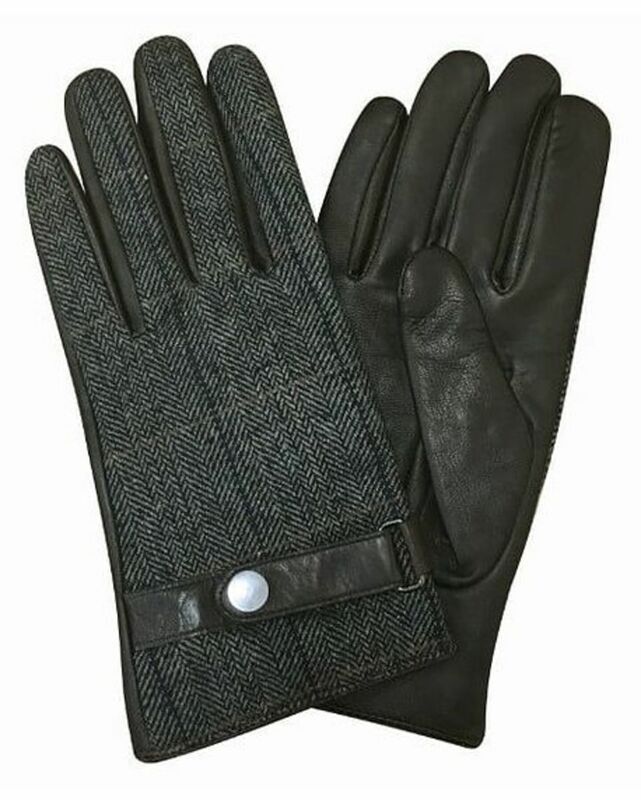 Wool mix upper with leather palm. Decorative stud fasterning.